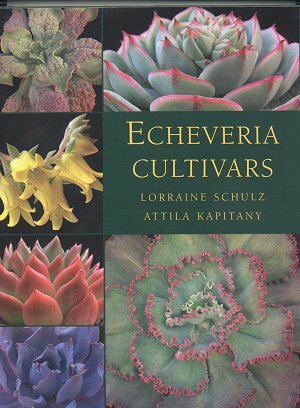 This is the only book to concentrate on the Echeveria hybrids of which there are very many. The book is extensively illustrated with good colour pictures. There are important sections on Cultivation, Pests and Diseases and Propagation, which because of their growth habits and because of their hybrid nature present slightly different problems to other succulents. Echeveria species and intergeneric hybrids of Echeveria of which there are also many, are only covered in outline. There is also a useful recommended reading list. This book should help to popularise these very attractive plants which have been a bit out of fashion in the last few years.